No doubt buoyed by the recent electoral success of the BNP, the boot boys of the English defence league (EDL) along with various other far-right groups are bringing their hatred to the streets of south Wales. Simon Daborn, organiser for the Swansea division of the Welsh defence league, has issued a call to meet at 5 pm on Saturday 17 October somewhere in Swansea. Venue to be announced. A counter demo has been called for 4 pm outside the YMCA on St Helen’s Road. The following Saturday we’re expecting them in Newport at 1 pm in John Frost Square. 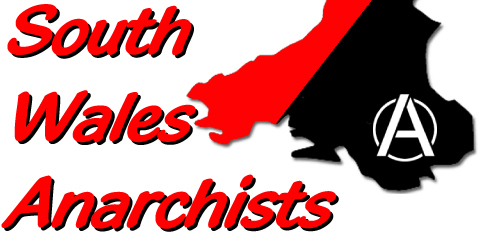 South Wales anarchists will be there in solidarity with the call out by Newport communities against racism. We cannot let these thugs go unchallenged. 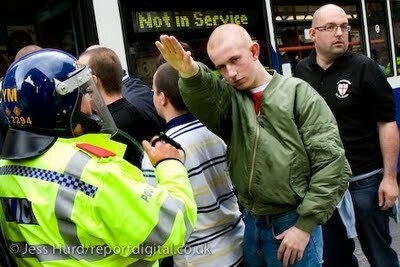 The EDL’s claim to be “a non-racist organisation” is ludicrous, judging by their antics on previous demonstrations in Birmingham and Harrow. And while they currently consist of only a handful of ex-BNP morons and assorted hooligans, financial backing from fascist business man, Alan Lake, who runs a number of right-wing web sites, could swell their ranks and create real problems for our communities. In the run up to the planned EDL march in Manchester on 10 October, over 20 Muslim graves have already been vandalised in a cemetery in south Manchester. Join us in Swansea and Newport and send this scum packing!